After Kombi and within a small distance we encounter the large village of Charakopio. The expression of one's eyes while accessing the central square makes the visitor wonder. The villagers are mainly occupied in agricultural productions, whereas the shops, cafes, the adobe-built houses and the mansions yield an aura of the past as well as of a vivid present. Charakopio was settled throughout Greek history as it is evidenced by the Mycenaean tombs, other archeological findings and the marvelous Roman mosaic of Villa in the Aghia Triada location. 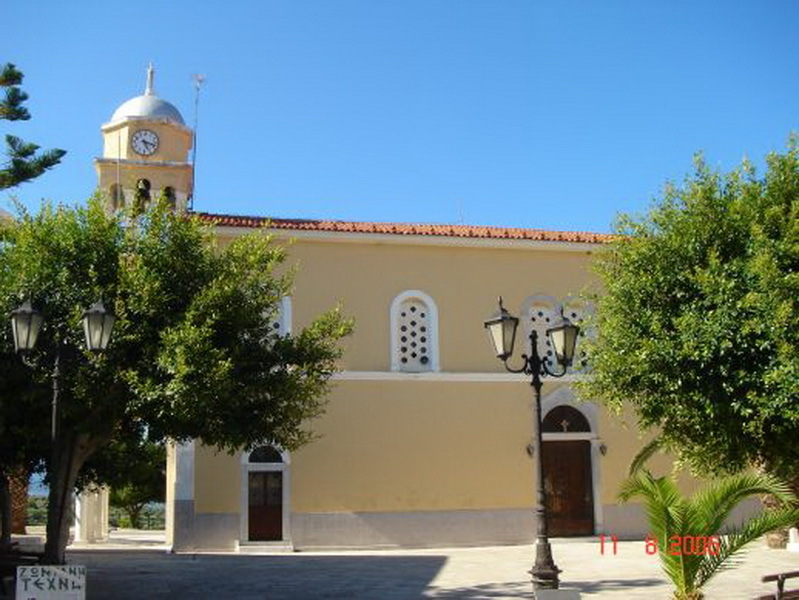 Around 1860 the village was the flourishing crossroads of the Pylos-Methoni-Koroni route with Manufacturing and trading establishments, with special emphasis placed on its renown kilns where earthenware jars, tzares and adobes were made. Unfortunately, during the recent years, this ever floating traditional verve was gone thus erasing the old image of the village. Today, the villc:tge's population, along with the settlements of Aghios Isidoros, Potamia, Aghia Triada, Armeni, Katinades and Gargarou numbers 949 inhabitants.